A modern youth apprenticeship through CareerWise Colorado creates opportunity through career-connected learning that augments traditional high school classroom time with meaningful workplace experience. The three-year opportunity delivers apprentices either to college, with a mature perspective on how higher education will help achieve career goals, or directly to the industry of their choice - equipped with the skills to step into a great-paying position with high-growth potential. Learn about how high school students from all over Colorado are taking advantage of the opportunities afforded to them by modern youth apprenticeship. Some see it as a stepping stone to college and a résumé advantage over their peers once they have their degree. Others see it as a way to get the experience necessary to step right into a promising career in a 21st century field, immediately after high school. There’s a growing interest in apprenticeship in America. Businesses are struggling to find workers for their most in-demand jobs, the economy is bracing for the retirement of the Baby Boomer generation, student debt is exploding and the K-12 education system is searching for new methods to best prepare students for the economic shifts awaiting the next generation. "New Apprenticeship Program Prepares Students for College and Career"
"Can Apprenticeships Pave the Way to a Better Economy of the Future? 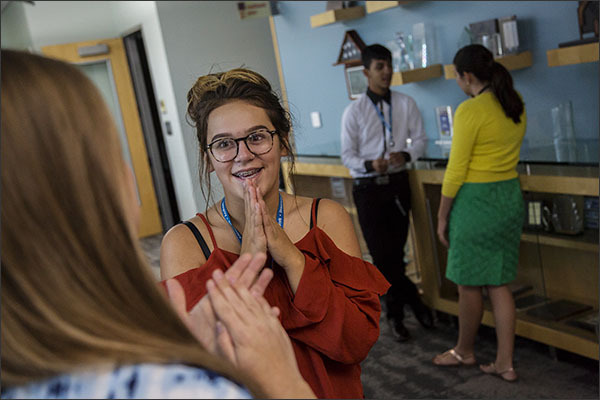 "Colorado is launching a first-in-the-country apprenticeship program that’s designed to let students earn it all. The best part? It’s free." "Modern Apprenticeships Offer a Path to College - and Career"